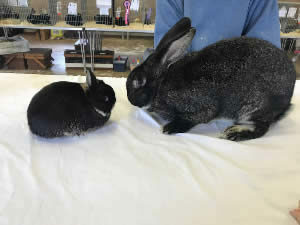 The Rabbit Section is a very popular section with the public with lots of different breeds on show, from fluffy to smooth coats & tiny to large!! We have lots of experienced friendly stewards that handle the rabbits to the judging table and back to the pens so all the rabbits stay safe. Apart from the main rabbit show we also do a selection of pet classes. Girls & Boys pet (up to the age of 16yrs), and Adult pet. These are judged on friendliness, health, grooming & cleanliness. 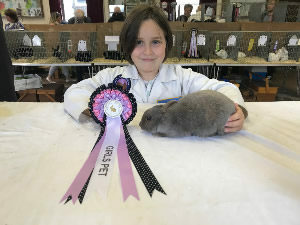 So, if you have a lovely bunny at home, why not enter it at Camborne show with a chance of winning a rosette or trophy. Contact Amanda on 07594622936 by July 9th! !